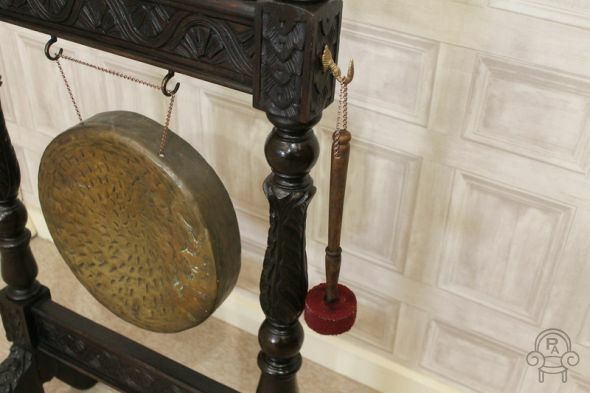 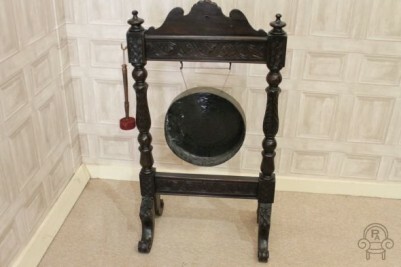 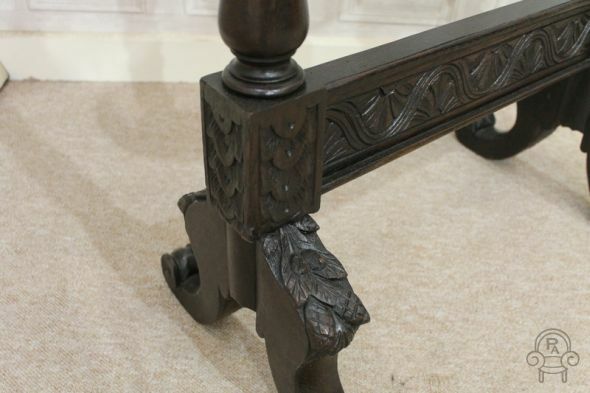 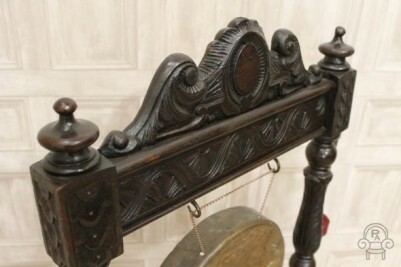 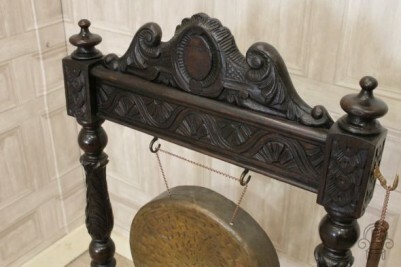 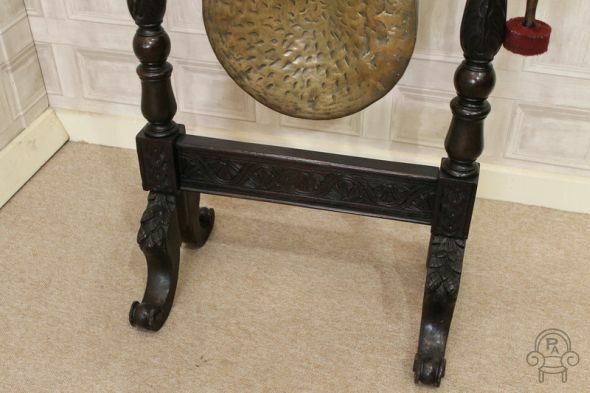 A classic piece of country house furniture, this beautiful late Victorian oak and brass gong boasts a carved frame and would make a lovely statement piece in any home. The item is in good condition for its age and comes with a felt upholstered striker, which produces a lovely tone. 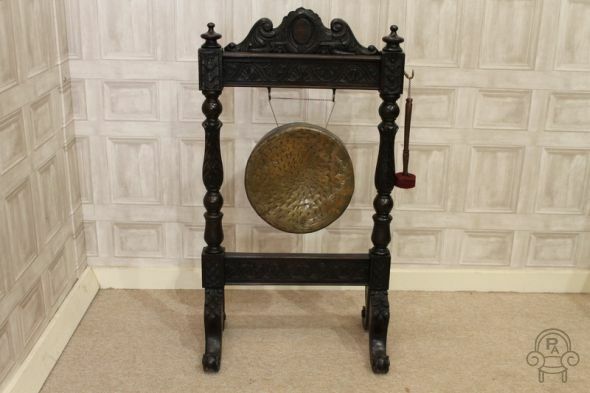 Please note that ther has been a small repair to the actual gong, but this does not detract from this piece; it still works perfectly.